Serena Williams is considered by many around the world to be one of the best professional female tennis players. 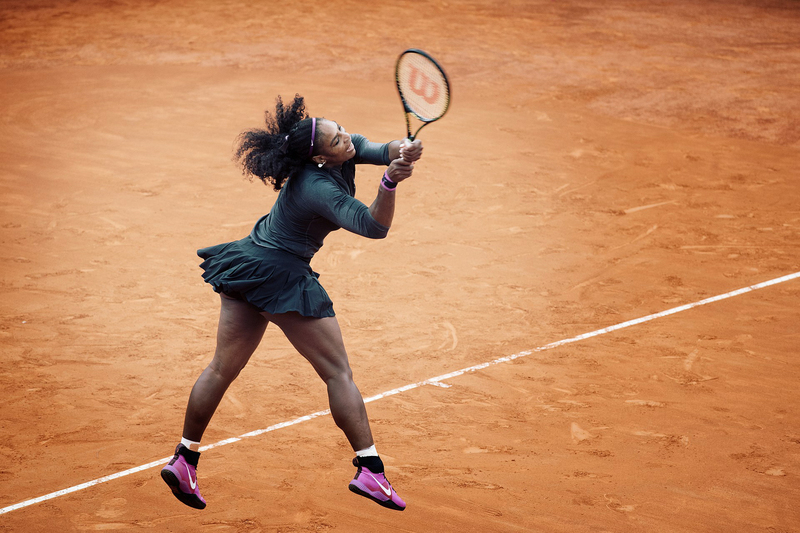 The 36-year-old athlete holds multiple Grand Slam titles and has established herself as a respected woman in tennis. Despite her illustrious sports career, however, Williams has made headlines over the past few weeks regarding her clothing choices and a $17,000 fine that has reduced her to a stereotype and joke in the eyes of several online critics. The fact that Williams’ outfits on-court are even being put into question is a ridiculously frivolous motion to begin with, but it’s made more questionable when her reasons for wearing them were health-related. Williams noted that she wears form-fitting pieces in order to prevent the blood clots she has been experiencing after she gave birth to her daughter last year. In response to the unnecessary critique, Williams graced the 2018 U.S. Open wearing an iconic black tennis dress and matching tutu statement skirt — a fashionable ensemble created by Louis Vuitton and Virgil Abloh in collaboration with Williams herself for Nike’s “Queen” collection. This power move is one that put largely positive attention on the tennis star for her subtle ability to clap back at an outdated and sexist criticism. Yet, Williams was unable to escape scrutiny for long before she was accused of receiving tips from her coach during the U.S. Open final — something which she vehemently denies. When in doubt, people should refer to her appropriately labelled tennis bag that she was seen toting at the U.S. Open, “AKA QUEEN” and treat her as such. Male tennis players like James Blake have since spoken out on Twitter, claiming that they have said “worse” and never got penalized for it. The debacle is one which also sparked the creation of a Williams caricature drawn by Mark Knight and has since garnered its own slew of controversy for being “blatantly racist.”People were quick to tear apart the image over social media. As well as being an arguably racist depiction, the cartoon has been criticized by other artists. The offensive nature of the cartoon has added further fuel to the “angry black woman” stereotype that has played a role in the treatment of Williams since her sportsmanship and honesty were called into question — raising important questions of why these microaggressions are still acceptable. For a decorated, seasoned tennis player like Williams to be reduced to an unfair series of penalties and a racially insensitive cartoon is unacceptable to say the least.